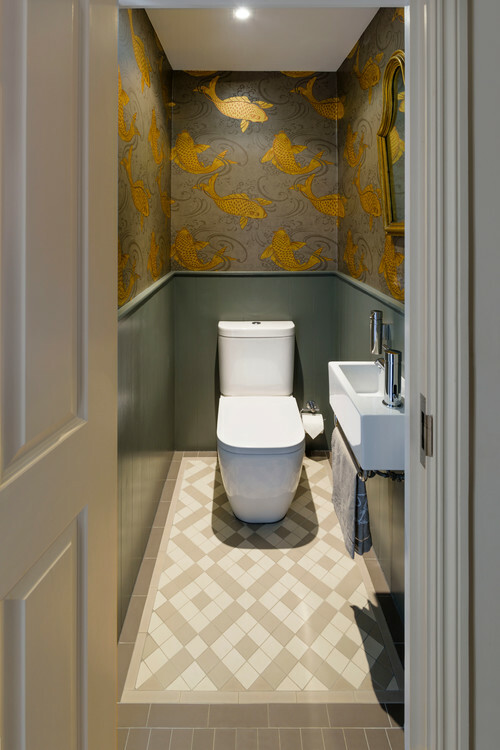 Because of their small footprint, powder rooms are the perfect place to realize your wildest design dreams. This is where you can justify selecting the best, most expensive materials without having to take out a bank loan, and it’s where you can feel free to take bigger design risks. 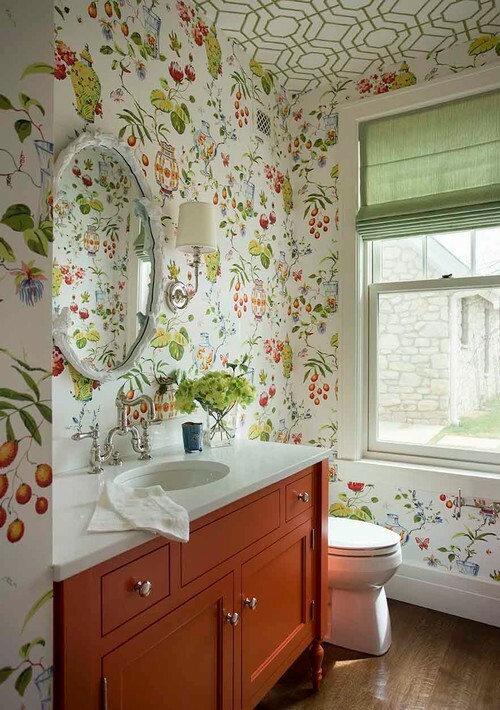 A bold wallpaper that might be “too much” for a living room can probably live quite comfortably in the powder room. Designer hardware? Well, you don’t need that many pieces, so you can afford to go all out. 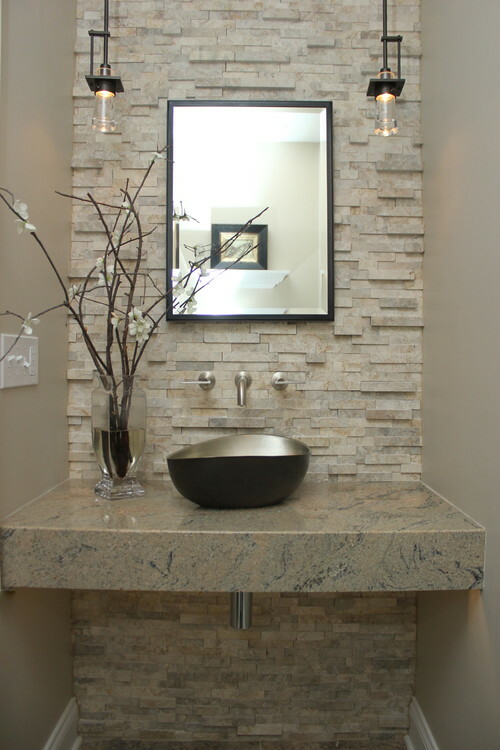 Exotic stone countertop? Go crazy! After all, you just don’t have that much to lose. 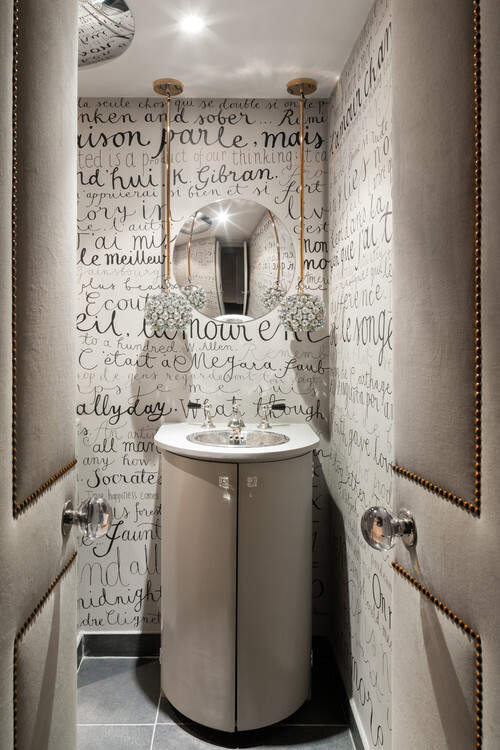 Here’s a look at some design-savvy powder rooms – in an array of styles from contemporary to elegant to funky – to get your creative juices flowing. 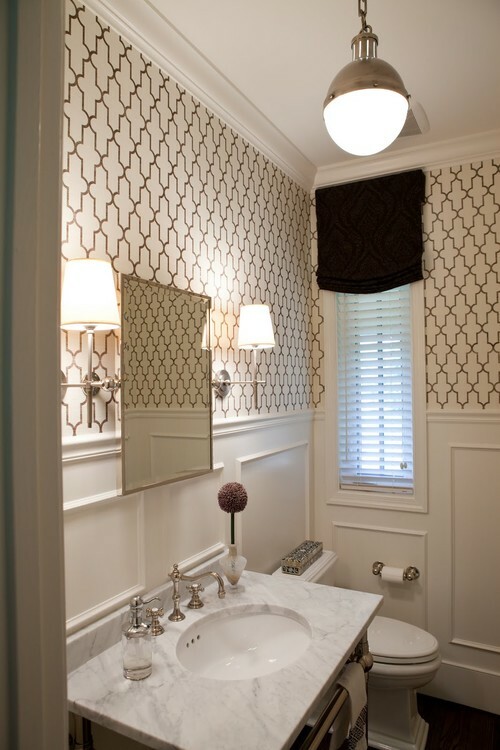 Traditional Powder Room by Redondo Beach General Contractors LuAnn Development, Inc.
For more powder room design inspiration, check out our Pinterest board! 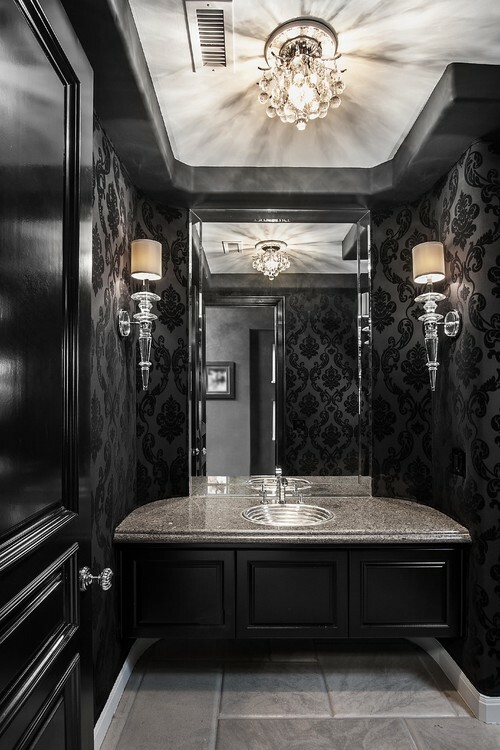 Whatever your style, Prestige Marble and Granite has the countertop you need to help make your design dreams come true. 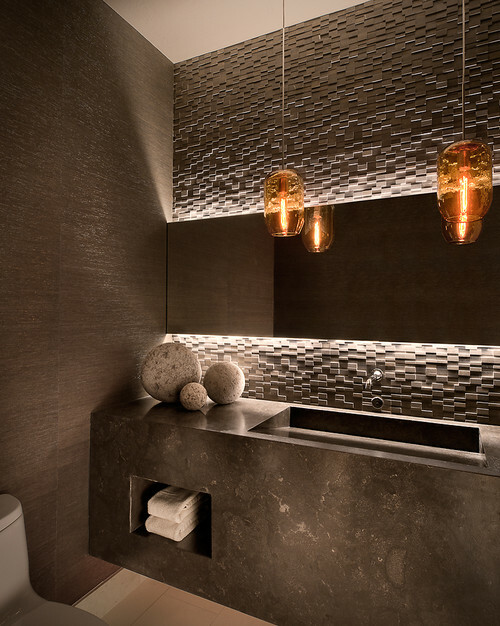 We offer a large selection of exotic and rare natural stones that are sure to provide your design project with a one-of-a-kind look. 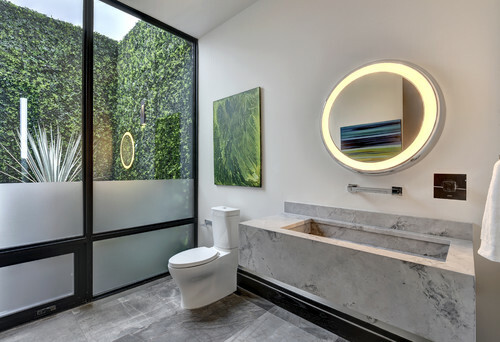 Stop by our indoor showroom anytime; we’re here to help you every step of they way – from selection and layout through fabrication and installation. 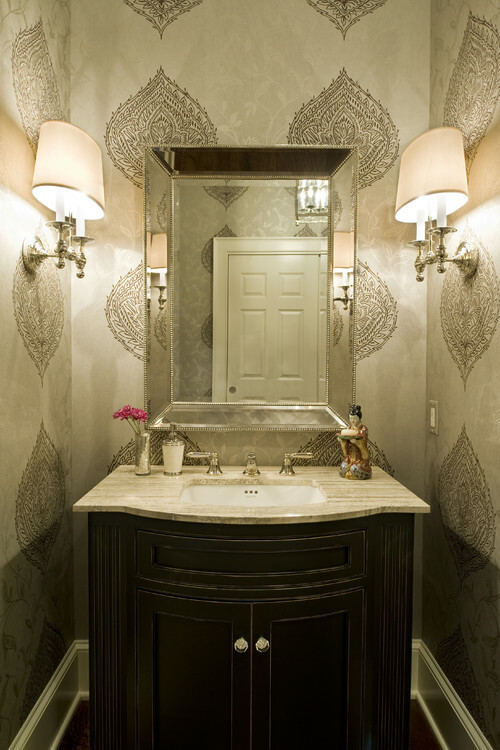 Every house has a style. 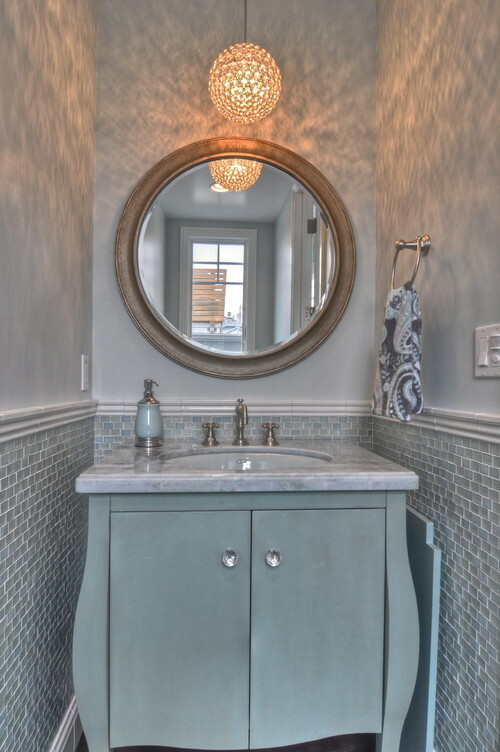 Sometimes it has two or more due to renovations or new, eclectic design styles. 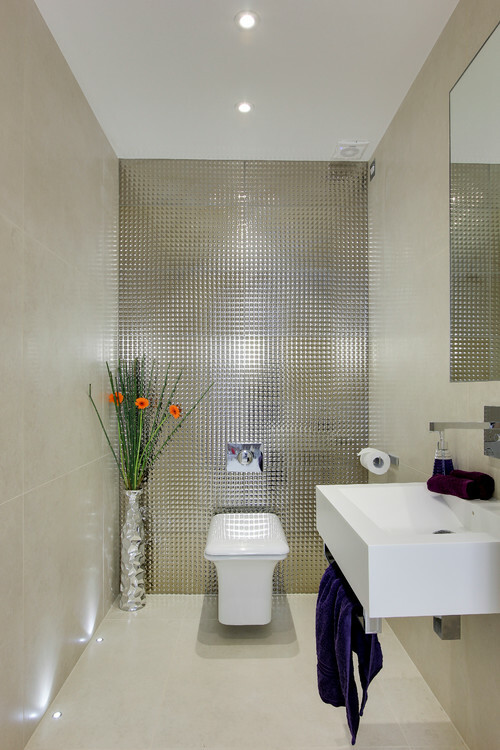 This can make fitting a home into one specific category a daunting task! In this series on architectural styles, we’re going to take a look at the most popular home styles in the U.S., their history, and the key elements of each style. First, here’a look at a style that has endured through the ages, the Cape Cod. 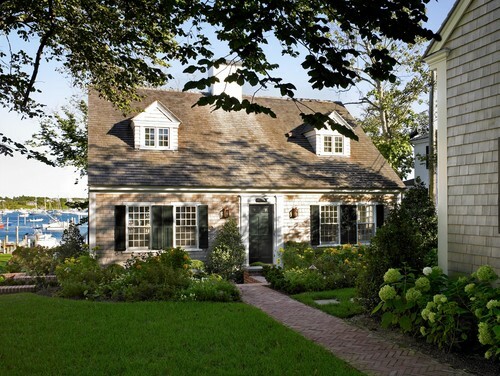 The first Cape Cod homes were built in new England in the 17th century. They were modeled after the half-timbered thatched cottages of England, but were adapted with steeper roofs and larger central chimneys to withstand cold Northeastern winters. Unlike later revivals, Colonial-era Capes did not have dormer windows. A renewed interest in America’s past inspired a variety of Colonial Revival styles in the late 1800s and became especially popular during the 1930s. After World War II, the architect Royal Barry Wills promoted the Cape Cod style in suburban developments throughout the country. Inexpensive and mass-produced, these 1,000-square-foot houses filled a need for the rush of soldiers returning from the war. Revival Capes are very similar to their colonial forbears, but some have the chimney at one end of the living room on the side of the house, rather than the center. A modern-day Cape will usually have dormers, and the window shutters are strictly decorative; they can’t be closed during a storm. 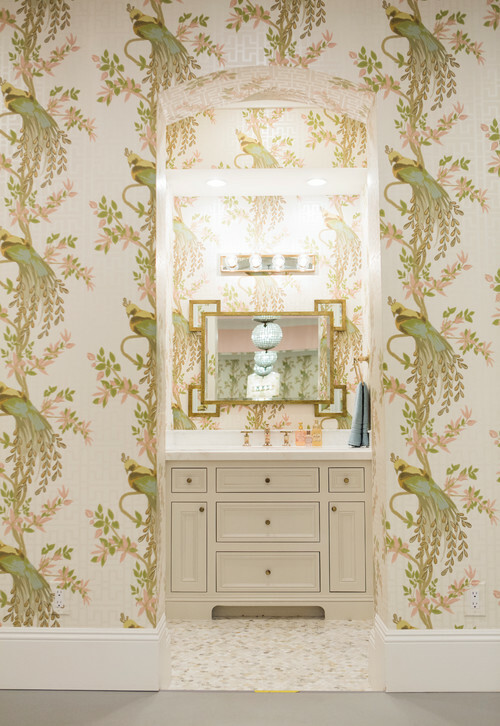 Today, the Cape Cod lives on, with both vintage versions and new remodels inspired by the classic look. With holiday entertaining just barely behind us, this is a natural time of year for people to assess their home with a careful eye and ask themselves if it’s time for that renovation they’ve been dreaming about. 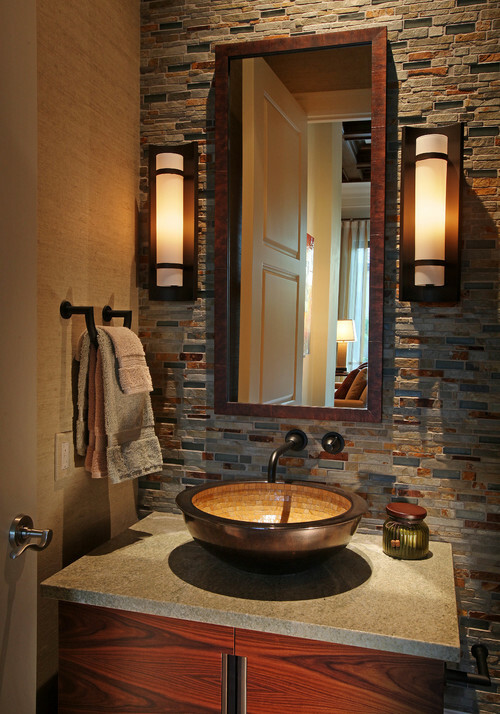 And when it comes to remodeling, the heart of the home (aka the kitchen) remains a main focus for most homeowners. 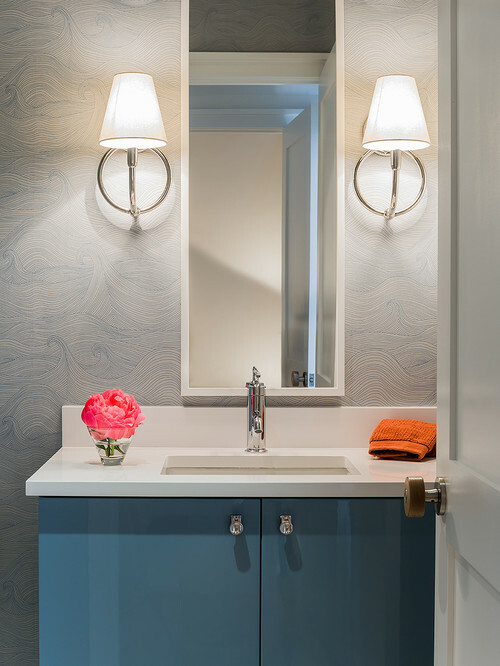 While kitchen design trends are generally a little slower to change than general interior design, there are always some refreshing new looks that are worth considering. 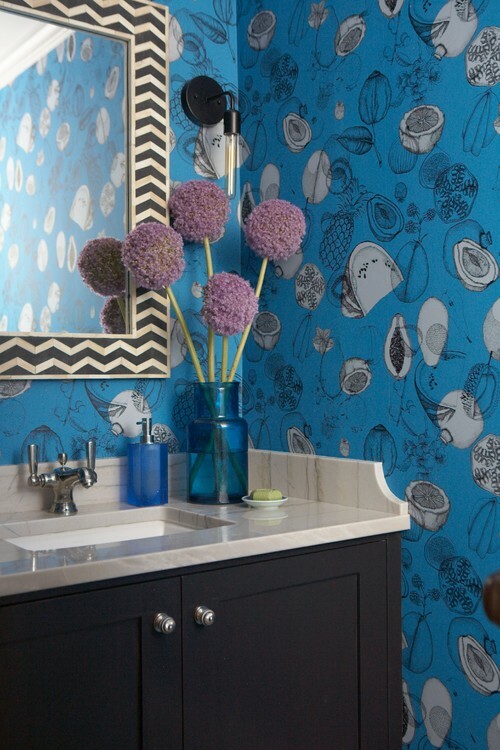 Here’s a look at what to be aware of this year among top kitchen design trends. 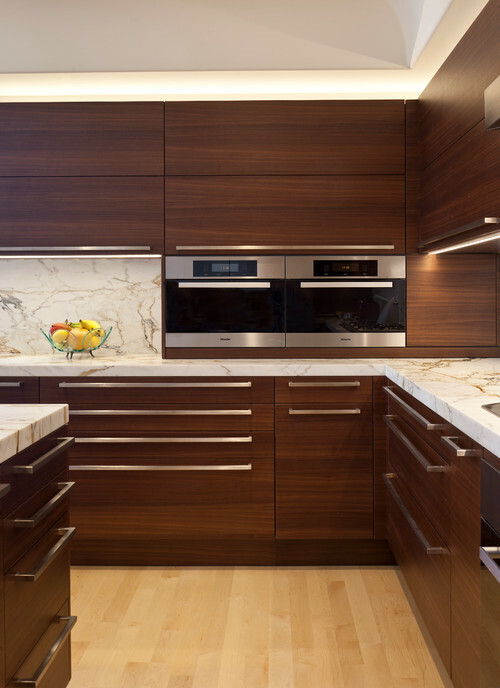 While squares and vertical rectangles still reign, horizontal cabinetry is on the rise. As cabinets get wider, there is less of a need to stack them, making access much easier, and giving your kitchen a cleaner, more refined look. 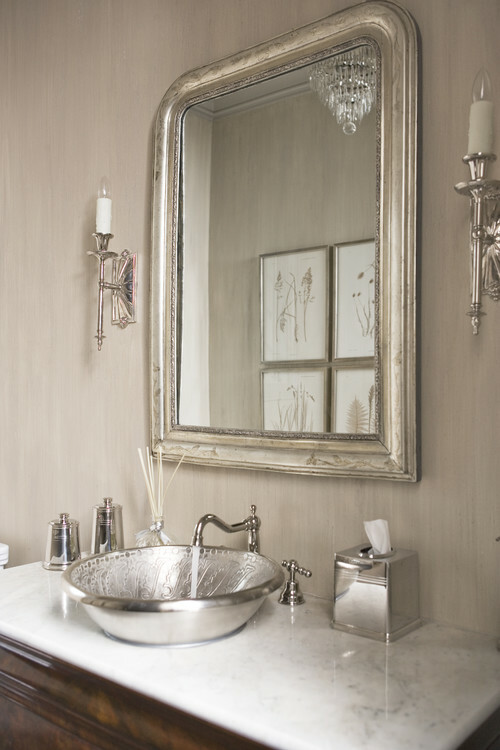 Move over, gleaming silver! 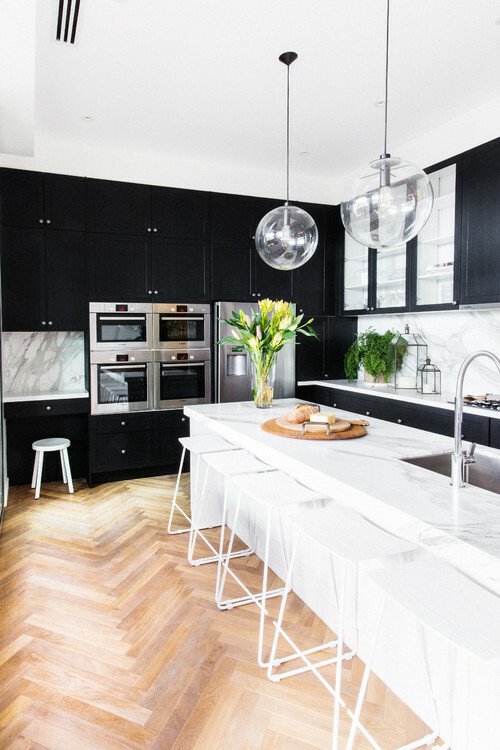 Sleek black stainless is the newest appliance finish and just might be the trend of the future, according to some experts. In reality, the demise of stainless is predicted very time a new material hits the scene, but none of them have really come close to supplanting traditional stainless as the appliance go-to. 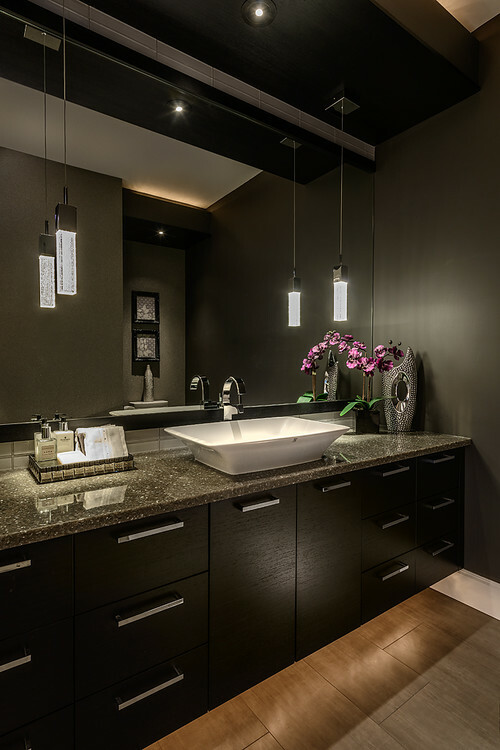 But black stainless is an interesting new alternative if the look of conventional stainless steel doesn’t appeal to you, or if you’re tired of fingerprints and smudges. KitchenAid’s new suite of smudge and fingerprint resistant black stainless steel appliances. 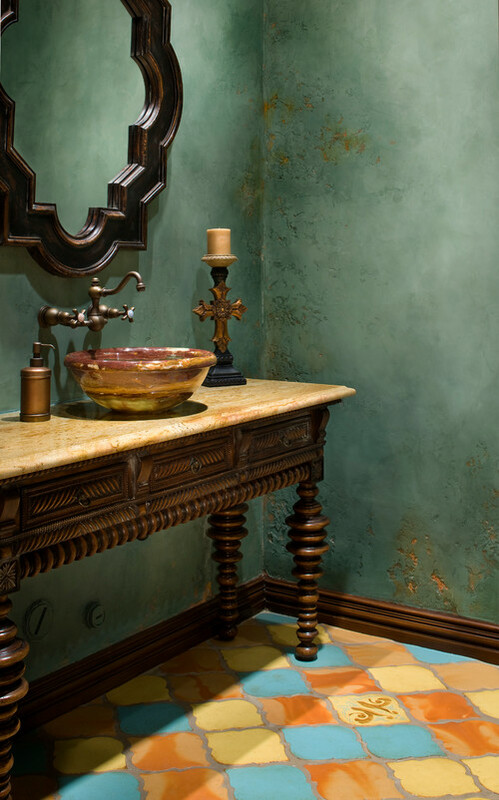 Instead of incorporating only one or two materials for the perfect, polished look, homeowners will be turning to a variety of materials for a more eclectic vibe. Mixing materials, such as the wood, metal and stone here, can make a kitchen look modern, luxe and classic all at the same time. 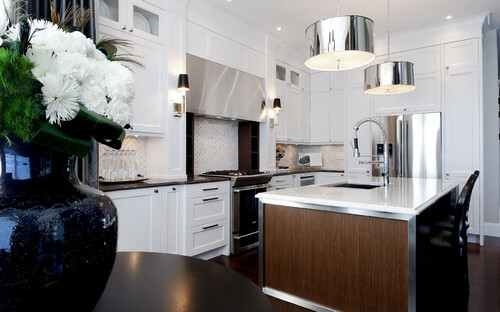 Kitchen by Saskatoon Interior Designers & Decorators Atmosphere Interior Design Inc. 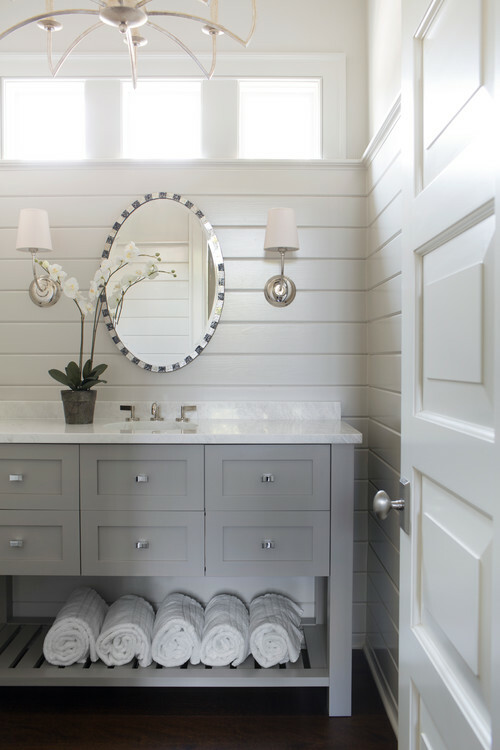 While white cabinets will continue to be the go-to favorite, experts say that charcoal, grays and even neutral pastels and tinted whites will be the shades to watch for bumping standard white out of the top spot. 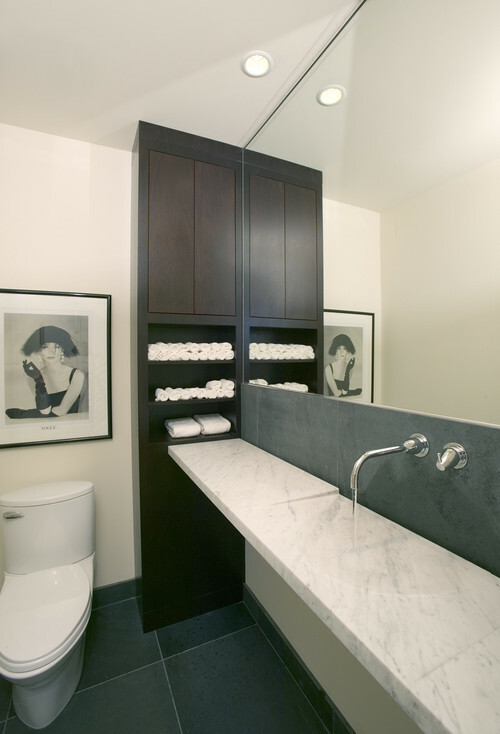 Another up-and-coming trend you’ll see is the combining of cabinet colors (like pairing soft gray cabinets with rich wood tones). 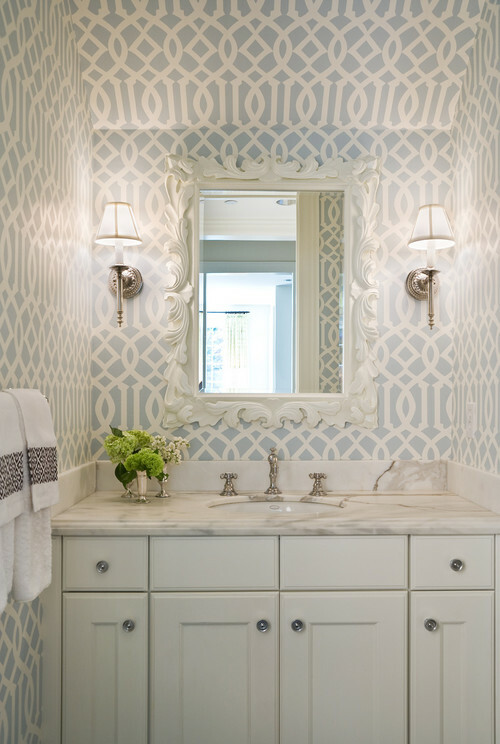 Bold, primary colors will be placed on the back burner in 2016, while muted blues, greens and soft yellows will be used as accent colors. This creamy kitchen does a great job of playing with muted blues in the soft window treatment, upholstered barstools, shelving and counter accents for a cohesive look. 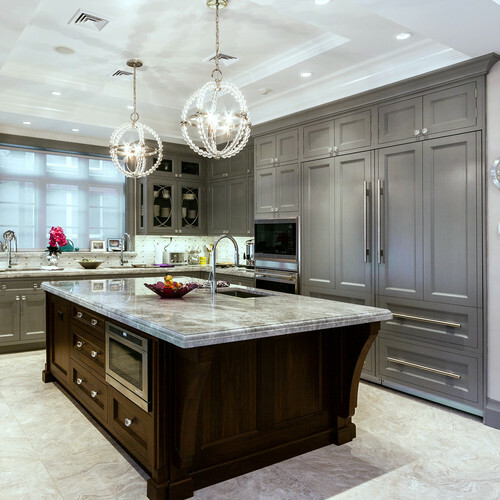 The gray painted cabinetry pairs beautifully with the rich wood tone of the island. 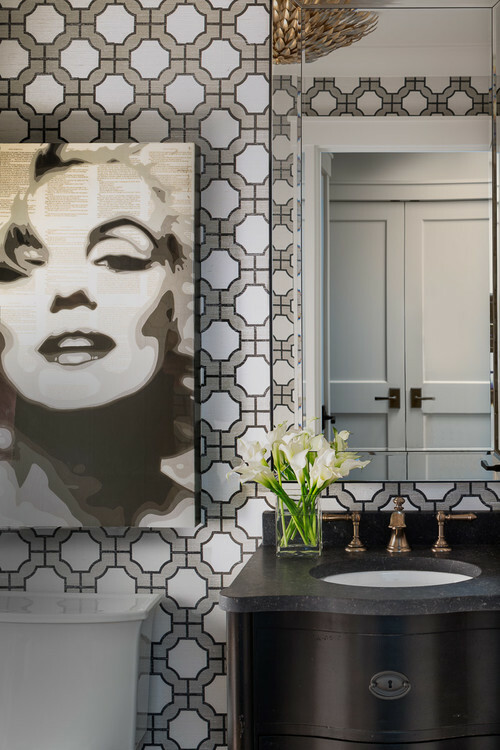 As styles evolve, the look may change but the appeal of a black-and-white kitchen seems timeless. 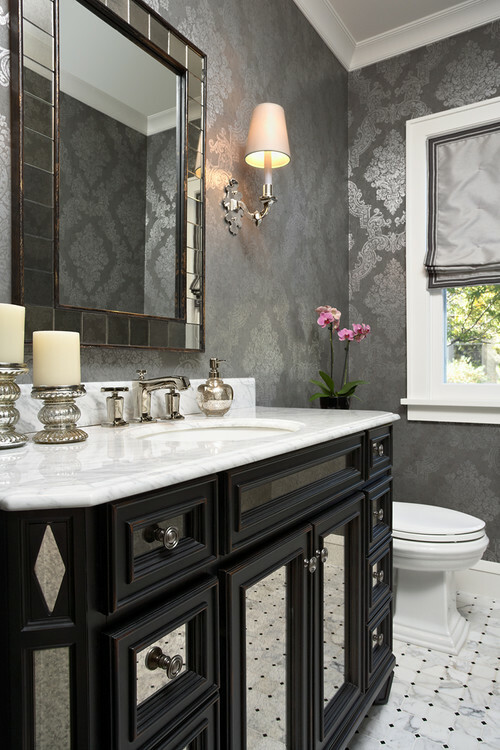 The look for 2016 is all about high contrast — this design juxtaposes black cabinets and white marble but also benefits from the tension between rustic and modern. 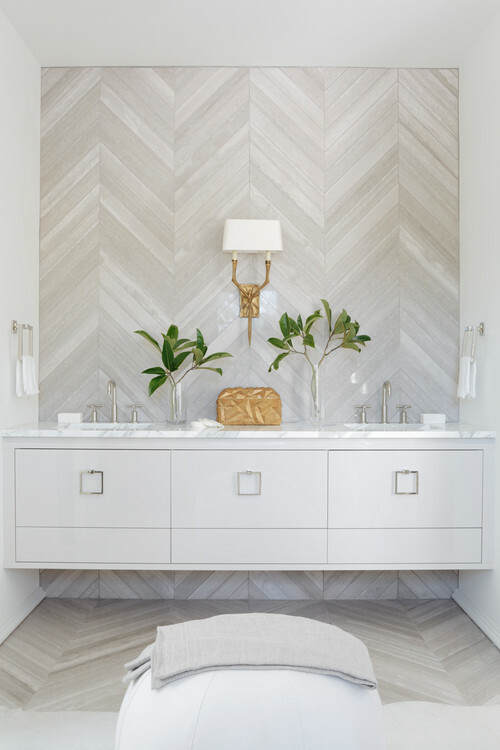 Warm hardwood floors in a herringbone pattern are an effective counterpoint to the sleek high contrast black and white scheme. 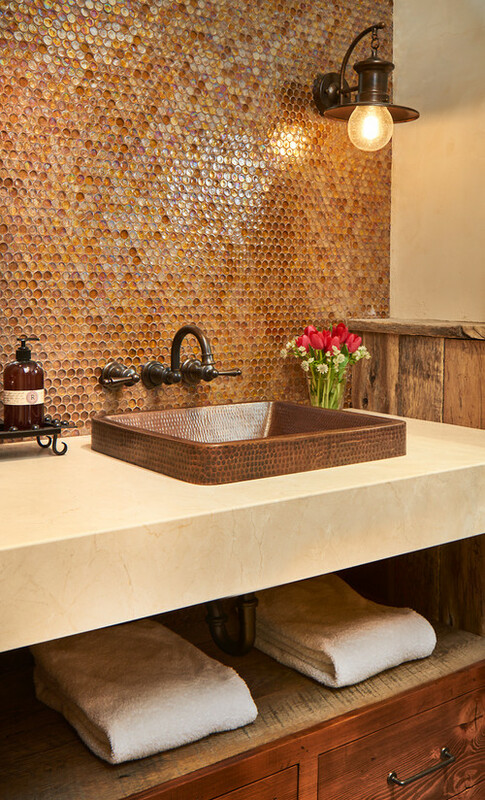 Metal will assume a more dominant role in kitchens as it overtakes wood as the range hood of choice in 2016. 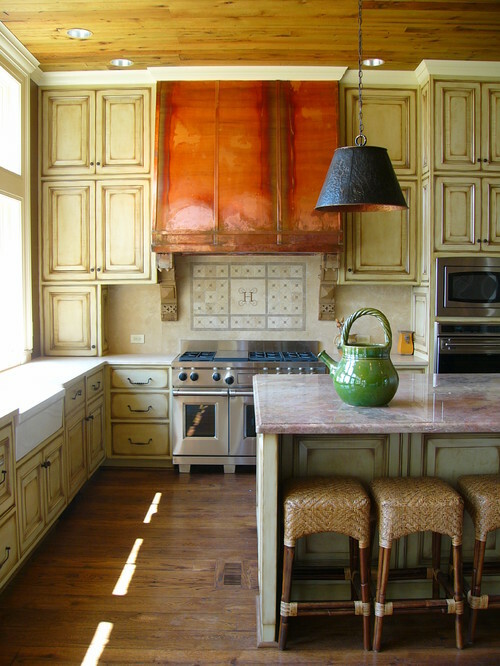 Whether copper, brass or bronze, a metal range hood is a great way to introduce contrast to your kitchen. 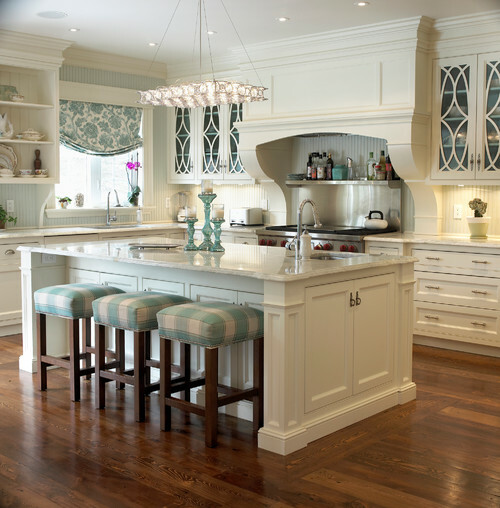 Traditional Kitchen by Birmingham Architects & Building Designers Erdreich Architecture, P.C. 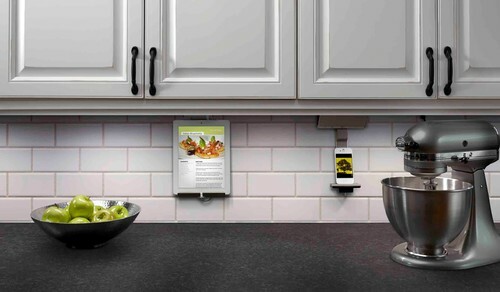 The kitchen of the future is here, so get ready for a hi-tech makeover. More kitchens will have hidden charging stations, as well as state-of-the-art smart appliances that can be controlled remotely via Bluetooth. Click here to see some really cool (and smart!) kitchen devices. 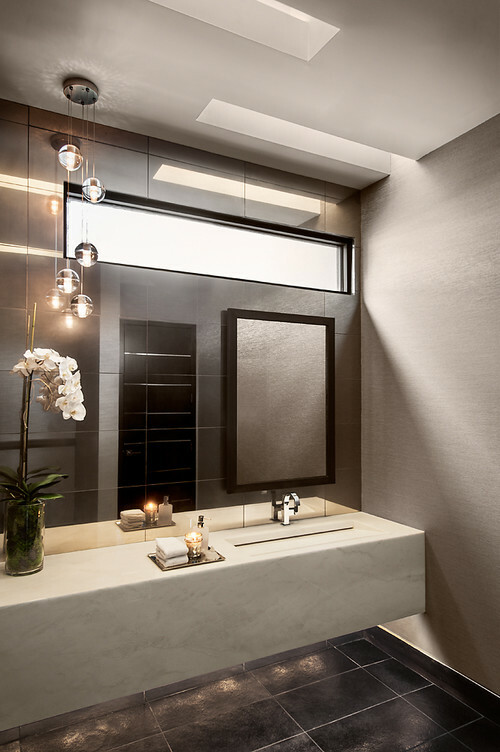 Wherever your kitchen remodeling takes you, Prestige Marble & Granite can provide you with the perfect natural stone surfaces to complement your personal style. 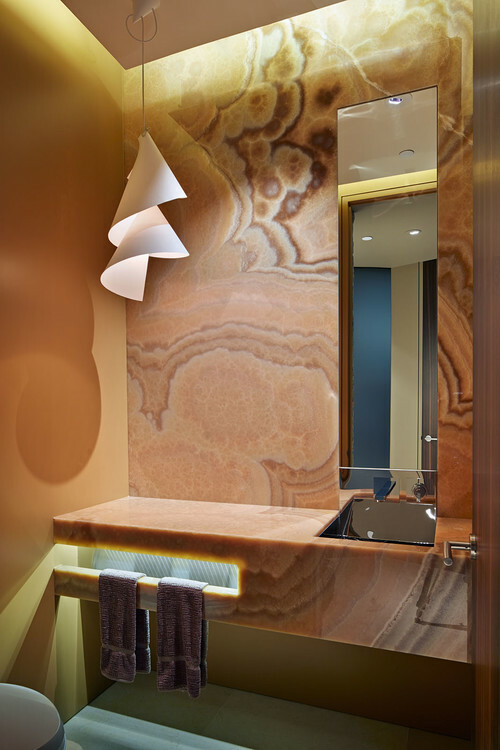 We offer a large selection of exotic and rare natural stones that are sure to provide your design project with a one-of-a-kind look. 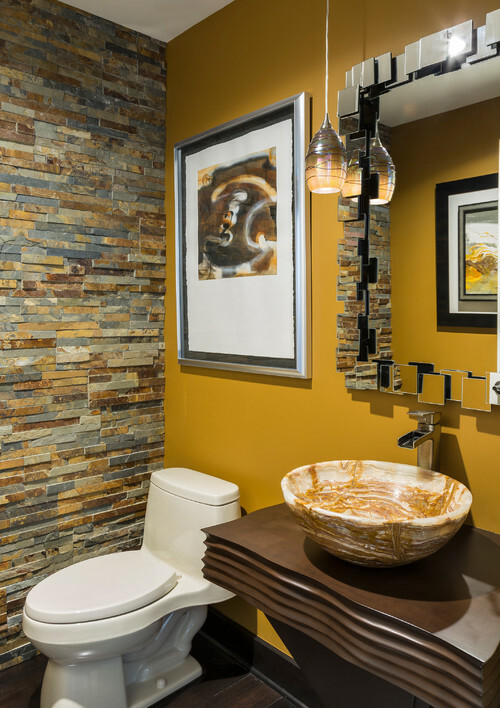 Stop by our indoor showroom anytime; we’re here to help you every step of they way – from selection and layout through fabrication and installation.